Benjamin Zander has been conductor of the Boston Philharmonic Orchestra for the past seventeen years, and of Boston's Youth Philharmonic Orchestra for nearly a quarter of a century. He is known throughout the United States as one of the most inspiring teachers and trainers of young musicians, as well as a musician at the cutting edge of interpretation of music of the nineteenth and early twentieth century. Born in London he did his early training with Imogen Holst, daughter of Gustav Holst, and spent several summers in Aldeburgh under the supervision of Benjamin Britten. He was a member of the National Youth Orchestra and later studied cello in Florence and at the State Conservatoire in Cologne. After graduating from London University he went on a Harkness Fellowship to the States were he has lived ever since, teaching at the New England Conservatory. Benjamin Zander has become a much sought-after lecturer to corporations, revealing the distinctions of leadership, teamwork, creativity and coaching gained in a life-time of conducting. 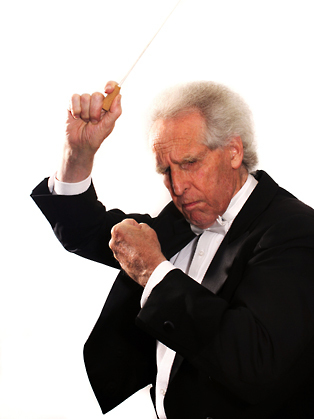 The orchestra has often been used as a fertile model to illustrate the dynamics of the corporate world. Now, as the traditional male styles of "conducting", such as insistence on hierarchy, control and right thinking, are giving way to new ways of transferring authority to the players, different skills are required for effective leadership. The art of listening and ensemble playing and the ability to provide coaching to remove the hidden barriers to individual self-expression will become increasingly crucial. In an era where interdependence is recognised to be vital as winning out over the competition, the central question for the leader becomes how to train institutions to act as great symphony orchestras. In demonstrating how a performance of a piece of music can be transformed from the ordinary to the extraordinary by questioning assumptions, a model may emerge in which leaders can design institutions that authentically respond to the challenges of the new day. Using the orchestra as metaphor he speaks on a range of themes: - The Interpretation of Music: Understanding the possibilities of your company - The role of the conductor: True executive leadership - Coaching the individual players: Getting the best results from an employee - Conducting the symphony: Enabling teamwork - Enrolling the audience: Marketing your product or service, and - Creating a great artistic experience. Zander has been invited to share his knowledge and experience with organisations the world over. Past clients have included NASA, the US Army, KPMG, IBM and Shell. He has spoken at the TEDx Conference in 2009 and has provided the Keynote address at the World Economic Forum on three occasions. 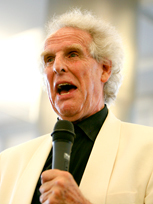 He has featured in programmes by the BBC and in ‘60 Minutes’ on CBS. ‘The Art of Possibility’, which Zander co-wrote with his wife Rosamund Stone Zander has been translated into fifteen languages.